Yokohama F Marinos stand clear atop the J1 table after a dramatic 3-2 home victory over FC Tokyo kept them on maximum points from four games for the first time since 2006. The game started in less than ideal fashion for the hosts as their visitors from the capital quickly took the initiative with their aggressive style of play and opened the scoring on 27 minutes. Yuzo Kurihara could only get a weak defensive header onto Kosuke Ota’s cross to divert the ball into the path of Tadanari Lee, who took advantage to score for the first time since returning to Japan on loan from Southampton. Marinos turned things around in the second period after Shunsuke Nakamura’s free kick took a massive deflection off the Tokyo wall to deceive Shuichi Gonda for the equaliser. Seven minutes later, Yoshihito Fujita got his head to Shingo Hyodo’s cross for his maiden goal following a winter move from JEF United Chiba. Tokyo looked to have secured a point when former Yokohama striker Kazuma Watanabe finished off an excellent passing move with eight minutes remaining, but Fujita struck again via the post with the clock on 90 to maintain his new side’s perfect record. Yasuhiro Higuchi’s men move two points clear at the top after Cerezo Osaka surrendered their 100% record with a 1-1 draw at home to Vegalta Sendai. Yusuke Maruhashi’s own goal put the visitors in front after 32 minutes, but the team in pink demonstrated typical skill in pulling level early in the second half. Fabio Simplicio dribbled past three Sendai players in a congested midfield before playing a 1-2 with Takumi Minamino and then on to Yoiichiro Kakitani, who squeezed a low shot across the goalkeeper for Cerezo’s equaliser. Urawa Reds rise to second on goal difference thanks to a valuable 2-0 victory away to bottom side Albirex Niigata, achieved despite being second best for most of the afternoon, while Saitama neighbours Omiya Ardija are up to fourth after continuing their fantastic start to the season with a 3-1 win at home to Kashima Antlers. The visitors took the lead when Gaku Shibasaki’s strike was parried into the path of Davi for an easy tap-in, but Omiya were level before half time when Shin Kanazawa’s low shot found its way in off the post from well outside the penalty area. Ardija picked up the pace after the restart and were soon ahead. Yu Hasegawa spotted the run of Shohei Takahashi and threaded the ball through to the defender, who knocked it wide of Kashima ’keeper Hitoshi Sogahata for Milivoje Novaković to hit his first of 2013. Substitute Takamitsu Toyama later made sure of the points with a cracking effort from the edge of the box into the opposite top corner. Sagan Tosu complete the list of five unbeaten teams after four matches, but they were left disappointed with a third draw of the campaign after blowing a 3-1 lead away to winless Jubilo Iwata. Yohei Toyoda scored a hat-trick of headers to take his seasonal tally to six already, but Jubilo fought back after the second half introduction of Yuki Kobayashi to steal a 3-3 draw with goals from Takuya Matsuura and Hidetaka Kanazono. Sanfrecce Hiroshima showed some of the qualities that made them champions last term by running out 4-0 victors at hapless Shimizu S-Pulse, who fall to second from bottom having conceded nine in two home matches. Hisato Sato was the star with his first two goals of the season plus two assists – the first a glorious flick for Naoki Ishihara to run onto after his initial dummy. Sanfrecce may not have had it quite so easy, however, had it not been for Shimizu defender Naoya Okane seeing red for two yellow cards early in the second half. Elsewhere, Shonan Bellmare fill the third and final relegation spot following a 2-0 loss at Nagoya Grampus, with fellow newly-promoted side Oita Trinita only ahead on goal difference after going down 3-1 at Kashiwa Reysol. Kawasaki Frontale and Ventforet Kofu are also both winless on just two points after their 1-1 draw at Todoroki. Vissel Kobe held onto top spot thanks to a 2-1 win at Matsumoto Yamaga; their fifth in six league games. 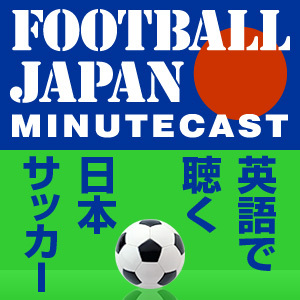 Montedio Yamagata are second following a 5-1 thumping of Yokohama FC, unbeaten Gamba Osaka move up to third with only their second victory of the season – 3-1 away to Consadole Sapporo – while JEF United Chiba finally got their campaign into gear by thrashing Giravanz Kitakyushu 6-1.